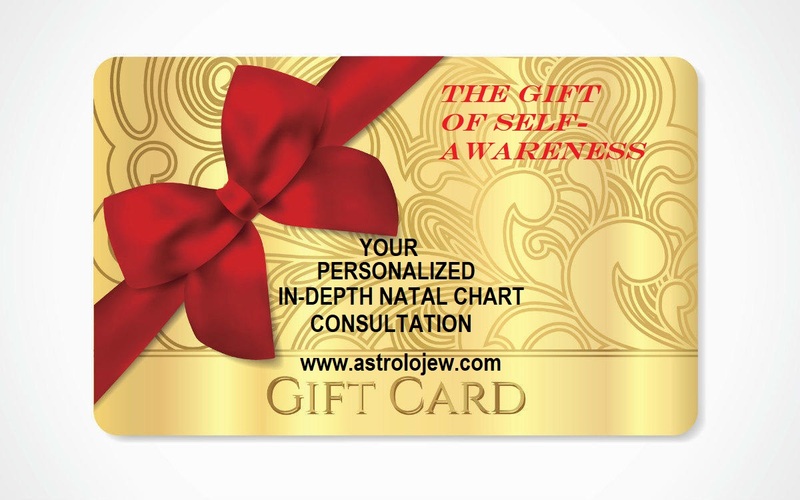 Rosh Chodesh Adar "Aleph" - Time to Increase Our Joy! We're in Year 6 of the current 19 Year Cycle of the Hebrew Calendar, which happens to be a 13-month Leap Year, and those two facts together explain why we're so far off the cycle of time - almost two whole weeks, considering that today was the New Moon in Aquarius (10/11 Degrees) and this evening is Rosh Chodesh Adar "Aleph," the extra month added for the Leap Year 5774 that will, by Purim - I promise! (Bli Neder) - Everything will start to feel "normal"-ish, again, like it hasn't in a while. It is said that when the Month of Adar comes, it's time to increase our joy. Because we have two Chodesh Adars this year, we can double our joy and believe me world, we sorely need it right now. The Aquarius/Aquarius New Moon gives Adar Aleph a particularly "out of this world" energy.... and for a very good reason. In classical Astrology, the Planet Jupiter was associated with both Sagittarius and Pisces, while the Planet Saturn was associated with both Capricorn and Aquarius. Later when the unseen-with-the-naked-eye planets Uranus and Neptune were "discovered" (although Astrologers always knew they were there), Uranus was assigned to Aquarius and Neptune to Pisces. However, Aquarius and Pisces still retain a relationship with Saturn and Jupiter despite the addition of other Planets. Instead of the Jupiter/Saturn/Saturn/Jupiter of non-Leap Years, this year we have Jupiter/Saturn/Saturn/Jupiter/Jupiter, and the kickoff to Adar Aleph happens on the Aquarius/Aquarius New Moon, making it literally the "furthest out" month of the Year, as far as we can go before we are reined back into a more "normal" expression of time. 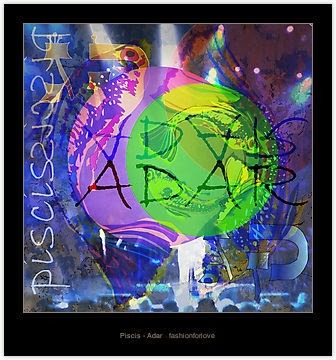 So too Adar Aleph is "far out" energetically, enabling us to meld the structure and discipline of Saturn (Shabtai)'s Aquarian energy, infused with the LIGHTENING MAGIC of Uranus, Planet of Hiddushim and the higher expression of "Bina," and move that into expansive Jupiter's enhancement of Neptune's big dream of universal love, brother/sisterhood and one-ness with our Creator and each other. Leap Years in the Hebrew Calendar, when Adar Aleph is added to the Calendar called "Pregnant Years" (the actual Metonic Cycle term is "Embolismic") and Adar Aleph is what we're pregnant with - so Mazal Tov and welcome to the world, Adar Aleph, may joy begin to increase due to your arrival and may we all give birth to something joyful today! Chodesh Adar Aleph Tov - Shabbat Shalom! The "Mini-Moon," the first Full Moon of 2014, the Full Moon of the Month of Shvat - Tu b'Shvat 5774. A "Mini Moon" when the Moon reaches its apogee – or its further point from Earth in its orbit. This will be the closest a full moon has been to its exact time of apogee since November 1994, and will not be as close again until 2052. The Native and Indigenous Peoples of North America call this phenomenon a "Wolf Moon," because the wolves howl with hunger at the Full Moon that climaxes the Winter months. Issues of abundance, scarcity, provision, protection, security and stability are at the forefront of the Chart for the "Mini Moon." 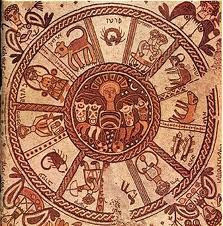 Some years in the 19 year Hebrew Calendar Cycle find Tu b'Shvat falls on Capricorn/Cancer (Sun in Capricorn, Moon in Cancer), other years it falls in Aquarius/Leo. This year the Capricorn/Cancer dynamic is a powerful archetype for control of security, resources, provision, and all that manifests as the material or "gashmi" aspects of sustainable life. Power Struggles between our values and what we value. Encouraging erratic, abrupt and headstrong dynamics with passive-aggressive opponents who hold the resources won't yield fruitful results. Find common ground in concerns about security and what that really means on a day-to-day level - home, food, family, relationships - and stop distracting yourself from facing the "Tachlis" reality by chasing after shadows that aren't really there - especially when there are real shadows to be dealt with, right in your own backyard. The real shadows to be wrestled with are mistrust, miscommunication, powerfully controlling agendas controlled by fear, rigidity and entrenched belief systems. Let the common ground of Mother Nature and Father Time be a place to invite the "other" to dance - Let the humanitarian, human race-loving energy of Shvat flow like the "Glee," the bucket that the Water-Bearer brings to "Shower the people you love with love, show them the way that you feel - things are gonna get much better if you only will...."
Egyptian Astrologer Warns The World: The Jews Are Gaining Power! All sorts of hooplala going on out there in Internet Land right now regarding this video of Egyptian Astrologer Sayyed Al-Shimi which appeared on Al-Nahar TV explaining why the upcoming transit of the Planet Saturn though Sagittarius (scheduled for December 2014) means that the Jews will be stronger. What's funny, of course, is the timing of this video - corresponding to the time when we read in the Torah about the birth of Moses and how he becomes the deliverer of the Jewish People from Egypt. You know there's a Midrash that says that the Egyptian Astrologers correctly predicted that Moses' downfall would come about through water - they just didn't get that it would be in G*d's time and G*d's way, with a water (from the rock he should have spoken to instead of struck) they never could have foreseen. Saturn ("Shabtai" - "My Sabbath") is a Planet very closely associated with the Jewish People. Saturn typically transits through each Sign of the Zodiac for about 2 1/2 years. Right now Saturn is in Scorpio, a Sign traditionally associated with the Arab Nations. Saturn has been in Scorpio since early October, 2012. Beginning in December 2014 until December 2017, Saturn will be transiting through Sagittarius. It's a very favorable position for us, in that it has a lot of energetic potential. One should not take Carte Blanche with the concept that Saturn in a Fire Sign is automatically good for the Jews. But I will make the following observation - from late April 1937 until the end of July 1939, Saturn was in the aggressive, Mars-Ruled Fire Sign of Aries. Those were the years that Hitler (y'mach sh'mo) and his Nazi Party had HUGE success not only in Germany but in Europe in general with their aggressive stance and their antisemitic rhetoric. Hitler himself was very involved in the occult and employed astrologers. When Saturn made a hard conjunction to Hitler's natal Sun in Taurus, Hitler invaded Poland. It's still a mystery as to whether Hitler chose that time period because he knew it was a powerful energetic opportunity for him to exert his will over hundreds of thousands of people. Most of the beginning of WWII happened when Saturn was in Taurus. It wasn't until May 1942 that Saturn entered the Air Sign of Gemini that things peaked (the Axis Powers had their biggest successes January - May 1942) and the war began to change direction. The movements of the Planets does not CREATE circumstances and events as much as they REFLECT them. Saturn''s transit through Mars/Pluto-ruled Scorpio has not been "good for the Jews." The combative, aggressive and hostile energies of Mars and Pluto move Saturn from mature to stubborn, rigid to ossified, structured to enmeshed and mired in the same-old, same-old. There are three Fire Signs - Cardinal/Initiating Fire Aries (ruled by Mars), Fixed/Establishing Fire Leo (ruled by the Sun), and Mutable/Transforming Sagittarius (ruled by Jupiter). When Saturn is in any of these Fire Signs, Saturn's "tzimtzuming" energy (which is to constrict, create borders and boundaries, control) meets the energy of the ruling Planet of the Sign that Saturn is visiting. The upcoming transit of Saturn through Sagittarius is a melding of the energies of Saturn ("Shabtai" - "My Sabbath") and Jupiter ("Tzedek" - from the word Tzadik, Righteous). It's a most profoundly auspicious time to wed the maturity and wisdom of Saturn with the fortuitous, positive, expansive and beneficent energy of Jupiter. All the Saturn in Sagittarius transits of the previous Century (March 1897 thru the beginning of January, 1900, December 1926 - November 1929, April 1937 - July 1939, October 1956 - January 1959, November 1985 - February 1988) had the same Saturn the Sign of Jupiter energy, with different material world manifestations. So what I have to reply to you, Mr. Egyptian Astrologer Sayyed Al-Shimi, is, like your Egyptian Astrologer predecessors who predicted a savior would arise who would meet his downfall through water, you're seeing something that you don't know how to perceive. Although you DO see that the upcoming Saturn in Sagittarius will be good for the Jews, tragically, because of the brainwashing you've received from your culture and your religion, you don't see just HOW GOOD something that's good for the Jews is also good for this WORLD. 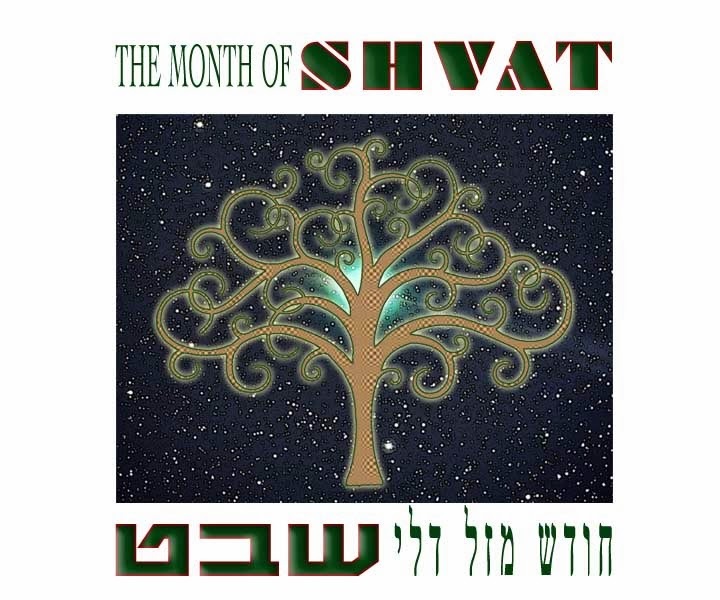 The Hebrew Month of Shvat begins at Sundown on January 1st. Shvat belongs to the Tribe of Asher, and is associated with the Mazal of "Dlee," the pitcher of water, otherwise known as Aquarius, the Water-Bearer. Shvat's element is Fixed Air (even though Aquarius is the water-bearer!) and, appropriate to the Tribe of Asher (which is associated with delicious foods) the Sefer Yetzirah tells us that the stomach is the body organ associated with Shvat, and the Tikkun of Shvat has to do with eating. The Bnei Yisachar ("Discourses on Shvat") says that according to Astrology, Dlee-Aquarius is the sign of the Jewish People. No other sign of the Zodiac is as concerned with issues of humanitarianism, universalism and the brotherhood of mankind as is Aquarius. The bucket of water is an appropriate sign for Israel, because water is a symbol for Torah, and it is Israel's job to be the water-bearer for this world. Each of the Four Elements (Fire, Air, Earth and Water) operate in one of Three Modalities (Cardinal/Initiating, Fixed/Establishing or Mutable/Transforming). The Month of Shvat is the Fixed Air Sign of the Zodiac. All three Air Signs (Gemini/Sivan, Libra/Tishrei and Aquarius/Shvat) are associated with the Torah - which was given over by Moshe ("Mishna Torah") beginning on Rosh Chodesh Shvat (Aquarius, Fixed Air, Establishing Torah). The Torah was given to the Jewish Nation at Sinai during the Month of Sivan (Gemini, Mutable Air, Transforming Torah) and during Tishrei the Second Set of Tablets were given (Libra, Cardinal Air, Initiating Torah). It is interesting to note the Planets associated with the Months and their Modalities in this example. The Planet Mercury (Kokhav) which has to do with communication, is associated with Gemini (Mutable/Transforming Air) and the Tribe of Zebulon, known for conducting commerce (via shipping) with foreign nations. The Planet Venus (Noga) is associated with Libra (Cardinal/Initiating Air) and the Tribe of Ephraim. Venus is concerned with beauty, relationships, balance and justice/fairness, as well as the arts and romantic love. The Second Set of Tablets that were given by Moshe during Tishrei were the sign of the RELATIONSHIP that HKBH could live with in regards to the Jewish People. There are two Planets associated with Aquarius. One is Saturn (Shabtai) which co-rules Capricorn/Tevet, and the other is Uranus (Oron). There are good reasons for the co-rulership and the evolving of our consciousness about the Planets in general and their relationship to the Nations of this world. Saturn (Shabtai) is concerned with structure, order, organization, boundaries and restriction ("Tzimtzum"). The relationship between Tevet and Shvat is most interesting. They are the Months on this side of the year said by the Ari as "belonging to Esav" from Rosh Chodesh Tevet - which remember, is STILL within Chanukah! - until Tu b'Shvat). Tevet and Shvat are the two eyes (according to the Holy Ari who attributed facial organs to the Hebrew Months), Tevet is "Ayin" and associated with the right eye, and Shvat is "Tzadik" and associated with the left eye. One needs both the right and left eye to see properly and in perspective. Uranus (Oron) is originality, individualism, humanitarianism, a visionary perspective. It's the energy associated with hiddushim, original insights. No other Sign of the Zodiac has more talent for originality, or is so intellectually curious, as Aquarius. It is interesting to recall that both Copernicus and Galileo were Aquarians. Shvat is the Month most conducive to original thought. Wishing everyone a Happy Solar/Gregorian New Year 2014, and a happy and holy Chodesh Shvat 5774!